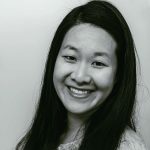 Published Oct 25, 2018 By Julia 11 CommentsThis post may contain affiliate links. 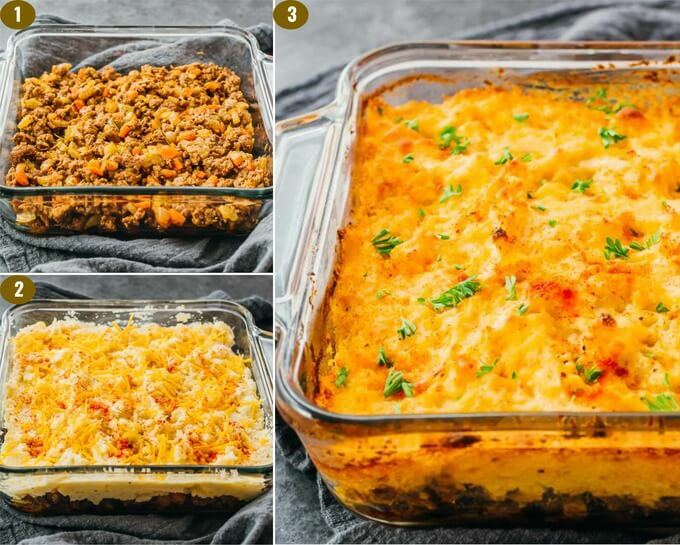 One of my favorite comfort food meals: keto friendly shepherd’s pie, a meaty casserole topped with a low carb cauliflower mash that tastes like mashed potatoes. As is often the case with well-known dishes, there are a lot of variations of shepherd’s pie and cottage pie. They generally refer to meat pies or casseroles cooked in a sauce with vegetables, and topped with mashed potato before baking. The term shepherd’s pie is usually reserved for when ground lamb is used for the meat sauce, and cottage pie for beef. This recipe uses lamb, but you can substitute it with beef for a similarly delicious result. 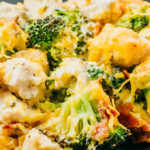 This dish is more involved than my usual easy recipes — it’s almost like two recipes in one, because you need to make two layers for this casserole — but totally worth the effort. Fantastic flavors and textures. 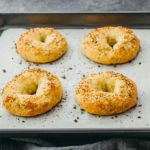 I’ve been making this classic dish long before I made the transition to a low carb lifestyle. 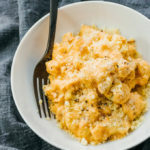 To make this keto friendly, I replaced the traditional mashed potatoes topping with a mashed cauliflower version, adapted from my mashed cauliflower recipe. 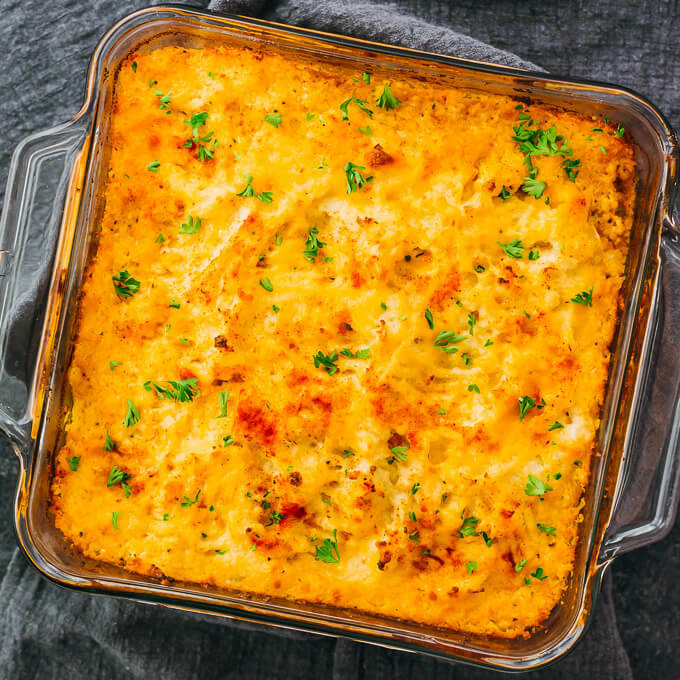 There are a few differences compared to my standalone cauliflower mash; most notably, I altered the ratio of various ingredients so that the cauliflower mash is fluffier and thicker, which I think works better as a topping for shepherd’s pie. I love how it turned out — a generous layer that tastes identical to mashed potatoes. For ideal texture, use a food processor, tabletop or personal blender, or immersion blender to puree the cauliflower florets until they resemble mashed potatoes. The casserole will be very hot when it comes out of the oven, so let it cool a bit before slicing and serving. 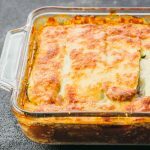 This will help the casserole keep its shape better, which means you’ll be able to serve slices that hold together instead of falling apart. You can serve this with other Irish themed dishes, like Instant Pot Corned Beef with cabbage and carrots, or with green colored veggie sides like broccoli, green beans, and peas. Shepherd’s pie and its many variants are staple foods in fantasy books. I’m always so intrigued when authors mention the specific foods that characters are eating. 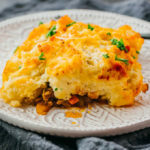 One of my favorite comfort food meals: keto friendly shepherd's pie, a meaty casserole topped with a low carb cauliflower mash that tastes like mashed potatoes. Heat olive oil in a large pan over medium-high heat. Add meat and cook until no longer pink, breaking it up with a wooden spoon and stirring frequently, about 5 minutes. Add diced celery, onions, carrots, rosemary, thyme, salt, and pepper to the pan. Cook until the vegetables soften, about 5 minutes, stirring occasionally. Add beef broth and tomato paste to the pan, stirring until the paste dissolves. Reduce heat slightly and let it continue to simmer until the sauce thickens, about 15 minutes, before turning off the heat. While it’s simmering, start preparing the mashed cauliflower in the next step. Spread out the florets on paper towels to drain for 5 to 10 minutes or until they stop steaming. Transfer the cauliflower florets to a food processor or blender. Add cheddar cheese, cream cheese, butter, garlic, salt, and pepper. Puree until it has a smooth consistency resembling mashed potatoes. You may need to scrape down the sides of the food processor/blender bowl a few times. Use a slotted spoon to transfer the meat mixture to an 8x8 inch or 2 quart baking dish, evenly spreading it along the bottom. Leave the grease in the pan. Evenly spread the mashed cauliflower over the meat. Use a fork to roughen the cauliflower surface. Optionally, top with shredded cheddar cheese and paprika. Lightly drizzle olive oil on top. Bake at 400 F until the peaks of the mashed cauliflower are browning, about 30 minutes. Optionally garnish with chives or parsley. It will be very hot so let it cool a bit in the pan before slicing and serving. 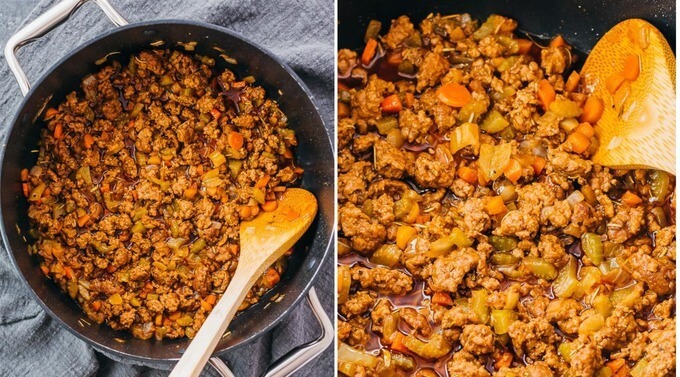 This recipe yields 6.5 g net carbs per serving (1/6th of an 8x8 inch casserole). Do you think this is freezable? It might. I haven’t tried freezing this, so unfortunately I can’t say for sure. 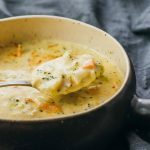 I made this for our St. Patrick’s Day dinner and it was outstanding! 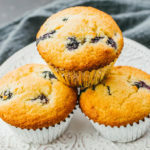 Thanks for the great recipe – and the book suggestions too! Made this last night for an early St Paddy’s Day get together. It was so good! Made this for my family of 5, everyone loved it! My husband and 13yr old son had multiple helpings! We didnt even miss the taters, and the beef mixture was delicious! The beef mixture would also make a great bolognese sauce! Will definitely make this again! This is delicious!!!! We made it with mozzarella instead of cheddar since we had that on hand and we loved it. I used my Vitamix for the cauliflower topping and it was off the charts delish. Definitely making this again. Thanks! Thanks so much for the great recipe, and I really like the addition of books you recommended to go along with the meal. You take the experience to a whole other level! Haha thanks Carol. Hope you get a chance to try out the recipe.